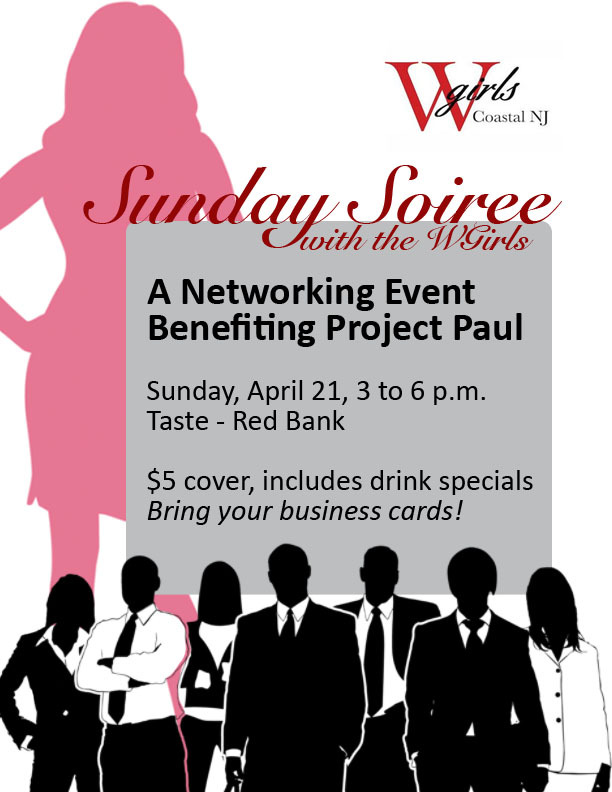 The WGIRLS Coastal NJ chapter is hosting “Sunday Soiree with the WGirls”, a networking event that’s being held at Taste in Red Bank on April 21 from 3 – 6 p.m. Proceeds will go toward Project PAUL. Project PAUL operates the largest food pantry in Monmouth County, provides financial assistance and educational support, and organizes holiday drives supporting qualified people in the Bayshore area of Monmouth County. The event will introduce entry and mid-level professionals in the area to both WGIRLS Coastal NJ and Project PAUL in a lively atmosphere. There is a $5 cover charge, which includes drink specials and live music. “We’re excited to host this great event to not only support Project PAUL, a charity that experienced extensive damage as a result of Hurricane Sandy, but to provide an opportunity for local professionals to mingle and become acquainted with our organization,” said Marisa Sanfilippo, WGIRLS Coastal NJ, Marketing Manager. Those interested in attending this event can find more information at http://www.wgirls.org/wgirls-coastal-nj/. Project PAUL was established in 1980 to provide community outreach to local families as a part of St. Ann’s Parish in Keansburg. Starting out simply as a food pantry, Project PAUL now operates a thrift shop and furniture store, as well as provides financial assistance and educational support.